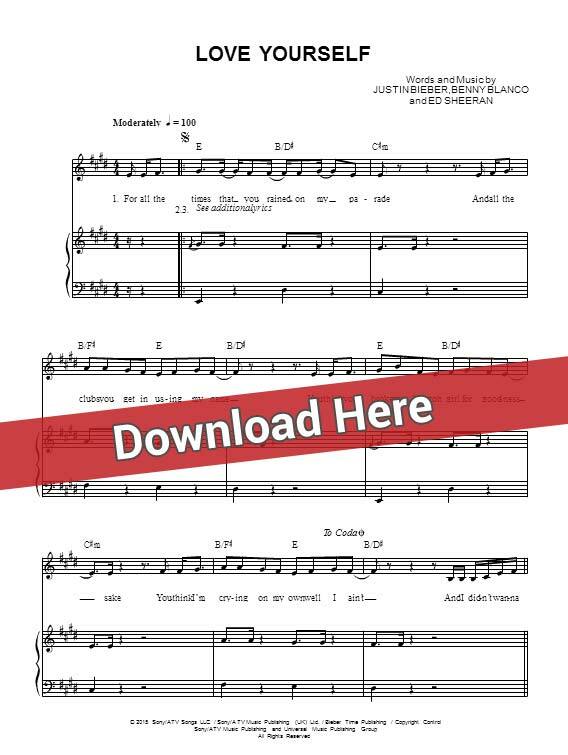 Get Justin Bieber Love Yourself Sheet Music, Chords, Piano Notes. This score was arranged for keyboard and voice. Download it here and start playing in minutes.